Three Seymour homeowners complained they received shoddy repair work through a federal taxpayer-funded grant designed to repair homes in blighted neighborhoods. George Noe, Kevin Flaherty, and John Stelma live minutes away from each other in Seymour. Since last year they have been updating their homes through a Community Development Block Grant the town of Seymour won in 2014 to help low-income, elderly, and disabled homeowners make repairs. The three men showed the NBC Connecticut Troubleshooters pockmarks, loose gravel, leftover asphalt dumped in bushes, and even a footprint scarring their newly paved driveways, as well as problems indoors ranging from vinyl flooring that has not remained glued down, to an oil tank installed in George’s garage that failed inspection by the town’s building department. The three men said they first raised complaints more than eight months ago to the town’s grant consultant, Lisa Low, and her team, who administers the program for the town. The men said the repairs Low offered would still leave them with sub-standard work. 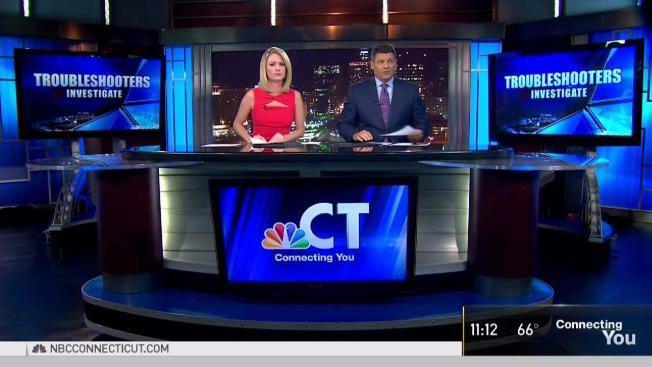 Low sent the NBC Connecticut Troubleshooters a lengthy email that says she was blindsided by their complaints and only received a phone call from George. Her email did not say whether she received multiple emails that Kevin and John said they sent her with their grievances, but she acknowledged HUD and the State Department of Housing contacted her about their concerns after our team reached out. Buturla said Low, as the administrator of the program, is not a party to the contract either. The contract is between the homeowners and a contractor who won the work through a bidding process Low managed, and it calls for homeowners to sign off on the work done at their properties. However, the contract also gives the town and Low’s team the power to override homeowner approval and issue payments in full to contractors if work meets industry standards. However, George, Kevin, and John’s driveways need repair, according to an engineering firm Low hired, so the men said they don’t understand why final payments were issued to their contractor for all three projects last year. The NBC Connecticut Troubleshooters went to the state Department of Housing, which oversees the Small Cities Grant program, for answers. Commissioner Evonne Klein explained her department expects towns to take responsibility and resolve complaints. “They deserve quality work to be done,” she said. After the NBC Connecticut Troubleshooters’ visit, DOH toured the three homes and told us Low was asked to draw up resolutions addressing certain repairs they hope all three homeowners will agree to. The grant money spent toward the repairs on their homes is not free to the homeowners. It’s awarded in the form of a 0 percent interest loan, meaning George, Kevin, and John currently owes the town of Seymour a combined $80,000. George told the NBC Connecticut Troubleshooters this is not just about the money. The Korean War veteran said he wants to see a change in how the program is managed. “If it happened to the three of us, you have to figure, did it happen to people before? Is it going to happen to people after?” he said. Seymour First Selectman Kurt Miller and Lisa Low have declined repeated requests for an on-camera interview. Seymour has won another Small Cities Grant and re-signed with Low to administer it.